The MeerCam DCV indoor security monitoring camera consists of a digital camera, a passive infrared motion detector, and S2 VIEW® spread spectrum, videofied interactive, encrypted wireless circuitry for secure two-way communications with the control panel. The MeerCam camera consists of a CMOS black and white sensor and an 85°, wide angle lens. Two infrared LEDs provide a night illumination distance of approximately 4.5 meters/14 feet. For motion or movement detection, a fresnel lens inside the cover captures a 12 meters/ 40-foot wide, 90° angle passive infrared pattern. The base allows for corner mounting. A dual tamper function provides for both wall and cover tamper detection. The MeerCam indoor security monitoring camera is typically installed to cover entire rooms, hallways, stairwells, and other similar areas where broad viewing/detection coverage is needed. When the alarm system is armed and the motion detector senses motion or movement, the detector transmits a signal and activates the camera, which captures a 10-second digital video segment. The control panel receives the signal and responds according to system configuration/programming. The alarm and video segment are reported via the control panel to the central monitoring station, and can also be sent to Email addresses for viewing. The detector is powered by three lithium batteries that can last up to four years, depending on the amount of detector activity. The detector transmits a check-in signal every eight minutes that includes its unique identification code along with the current detection sensor state, tamper condition, serial number, date of manufacture, software revision, and battery status. S2View® - Spread Spectrum, Interactive AES Encrypted Wireless technology provides optimum signal integrity and security. Camera - CMOS black and white sensor with 85° wide angle lens and video resolution of 320 x 240 pixels. Night illumination - up to 4.5 m/14 ft. distance using two infrared LED. 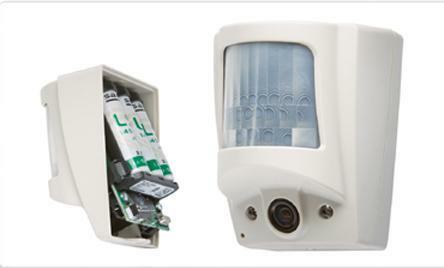 Motion detector - dual-element, passive infrared with fresnel lens for 12 m/ 40 ft. wide, 90° coverage pattern. Camera response - Camera begins filming in under 100 milliseconds after the PIR detects motion. Supervised - transmits a check-in/status signal every 8 minutes indicating unique identification code along with the current detection sensor state, tamper condition, serial number, manufacture date, software revision, and battery status. 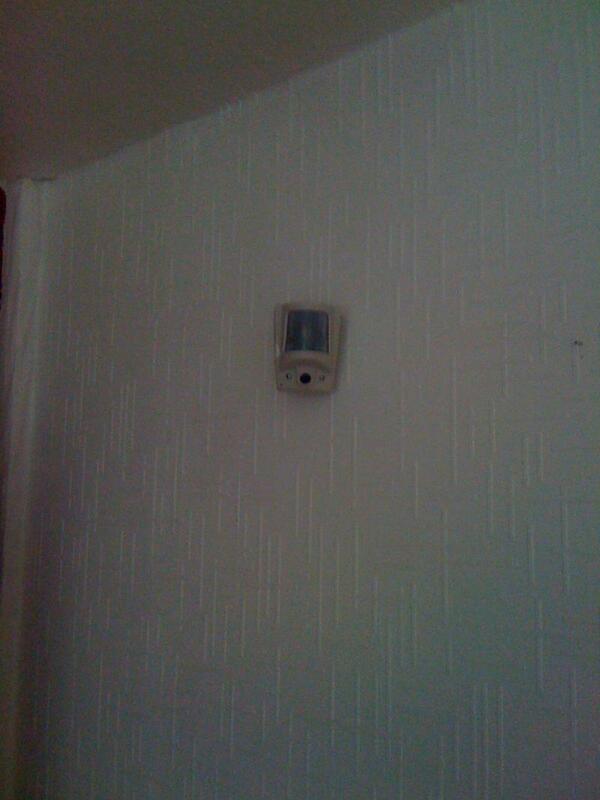 Dual tamper - provides cover and wall tamper detection. Lithium batteries - up to 4 years. Video verification of intrusion alarms. Automatic Night illumination distance - 4.5 m.
Motion Detection pattern - 24 facets 9 main-12 m. 8 intermediate-8 m. 5 short-4 m. 2 creep zones-1.2 m.
Dimensions - 89 mm x 70 mm x 70 mm (LxWxD): 3-1/2 in. x 2-3/4 in. x 2-3/4 in. Two screws secure camera base to mounting surface or corner mount .